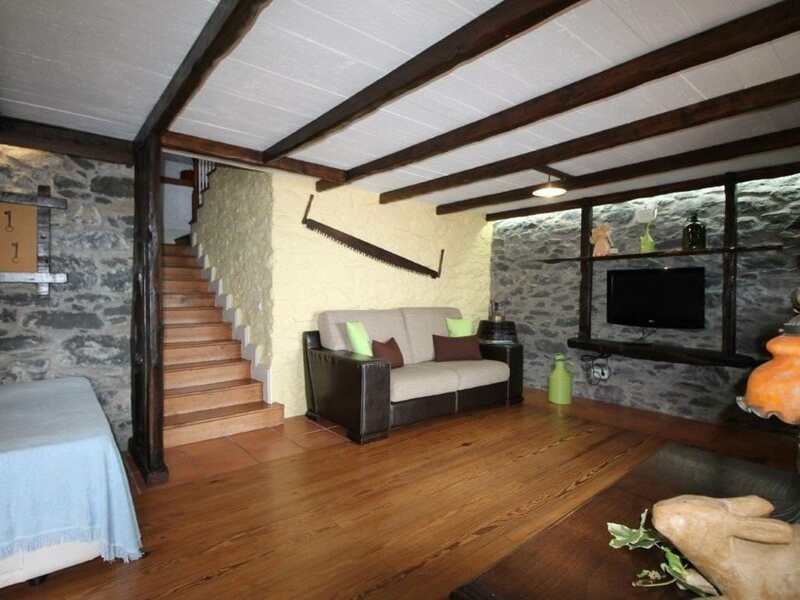 The perfect retreat to spend a good family holiday. A shelter in the middle of the nature! 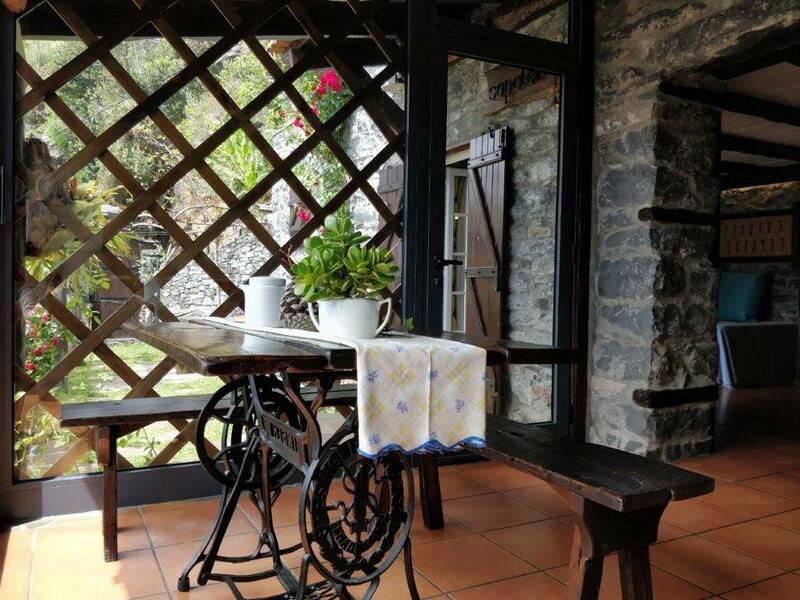 Cottage Sapateiro is the largest holiday house of Calhau Grande – a perfect retreat for a family to have a good time in Madeira island or for two couples wishing to enjoy some relaxing days together. 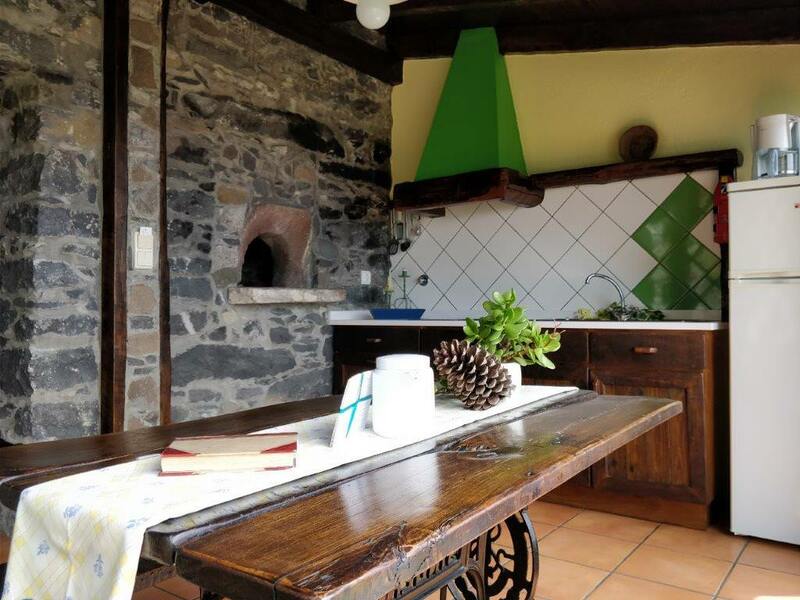 It is a rustic and typical stone house with beautiful wood furniture. 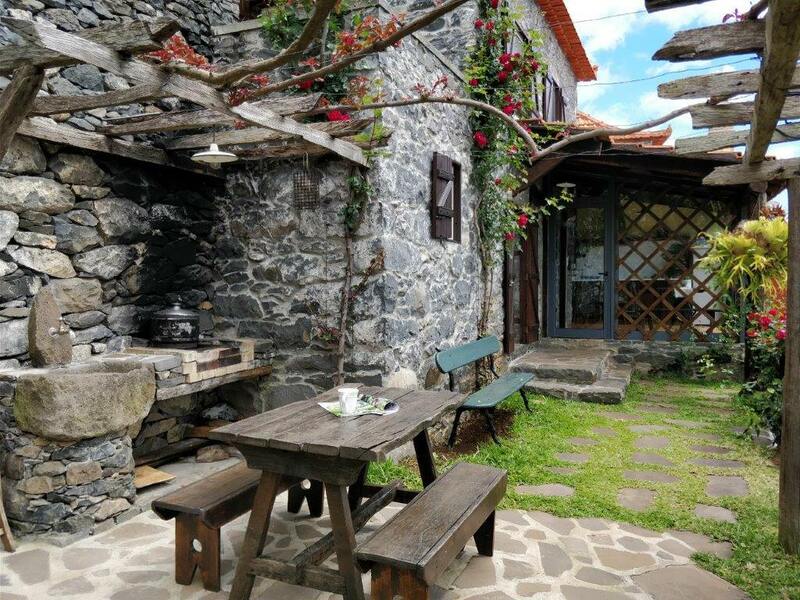 You will feel that you are inside a real haven and shelter in the middle of the mountains and children will love having their own space to play and rest. 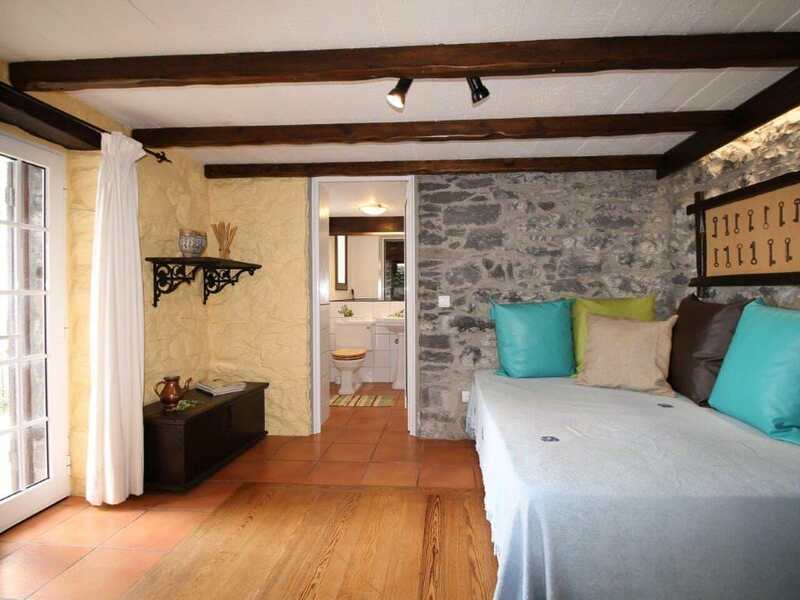 This typical stone house, with two stories, has two good-sized bedrooms and its own living room and equipped kitchen. 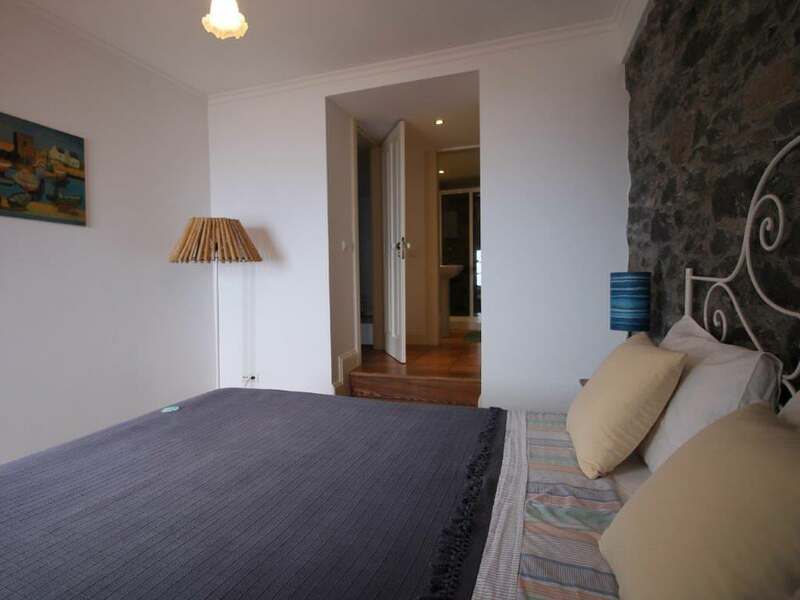 On the ground floor, there is the living room area, a WC and the kitchen which is directly connected with the outdoor private garden through a floor-to-ceiling glass wall. 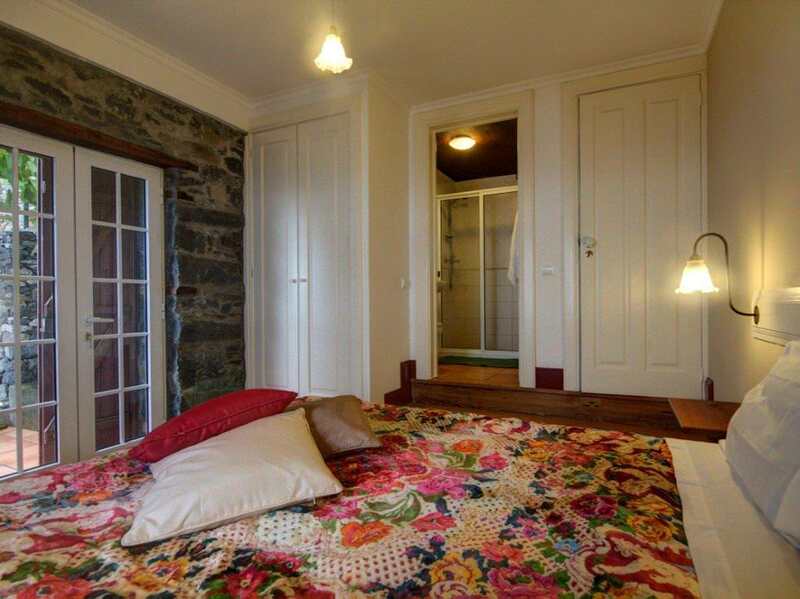 On the 1st floor, there are two double bedrooms, each one with its private ensuite bathroom. 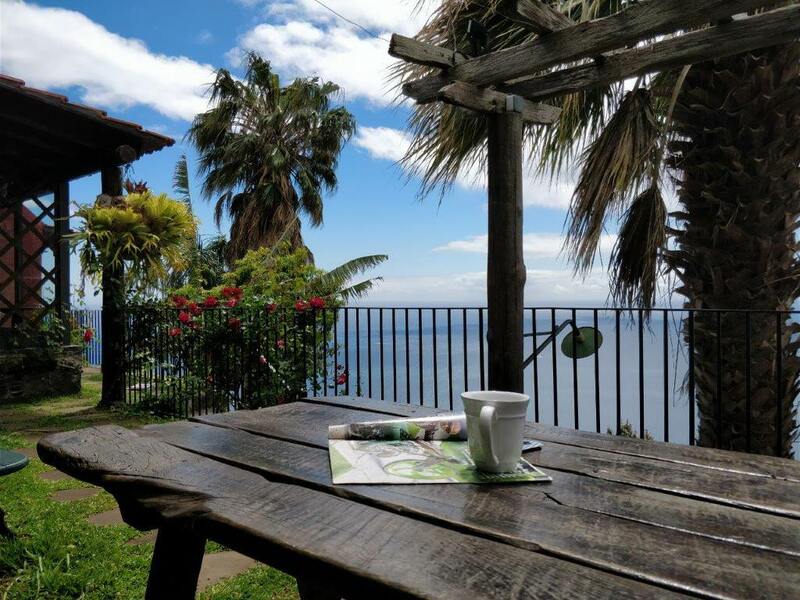 Outside, the house takes advantage of an ample exterior space, private entrance, barbecue with table and chairs, as well as a fantastic view over the Atlantic Ocean.